The West Broad Street Historic District is a collection of houses built between 1890 and 1928. Fourteen of them are attributed to Lawrence Reese (1864-1915), a native of Marlboro County who came to Darlington as a merchant in the 1880s. With no formal training in architecture, Reese was a self-taught master carpenter and designer. The houses built by Reese, many of which have elaborate Victorian architectural features, include 23, 229, 232, 235, 241, 242, 245, 258, 368, 375, 379, 389, 393, and 395 West Broad Street. 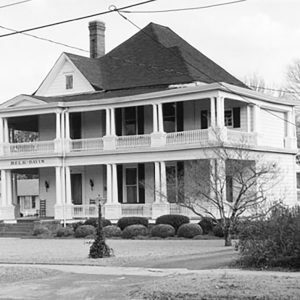 The present Belk Funeral Home, at 229 West Broad, was his favorite.